Genetic sequencing of a single tumor reveals far greater genetic diversity among cancer cells than anticipated. Researchers from the University of Chicago and the Beijing Institute of Genomics estimate that the tumor, about 3.5 centimeters in diameter, contained more than 100 million distinct mutations within the coding regions of its genes--thousands of times more than expected. The finding suggests that even microscopic tumors are likely to contain extremely high genetic diversity. With so much variation, even small tumors are likely to contain cells that may be able to resist standard post-surgical cancer treatment such as chemotherapy and radiation. The study focused on just one exhaustively sampled tumor, but it raises important questions. Previous studies have found that patient survival decreases as genetic diversity within tumors increases. More mutations make drug resistance more likely. "The possibility of high intra-tumor diversity even in small tumors suggests a need to reevaluate treatment strategies," the authors conclude. The high level of genetic variation also adds fuel to a long-running debate in evolutionary biology: Is evolution, at the DNA level, driven by selective Darwinian forces--the survival of the fittest? Or is there a role for random, or neutral, non-Darwinian changes--the persistence of the luckiest? Such rapid and extensive generation of enormous diversity, way beyond what a Darwinian process would permit, makes the selectionism vs. neutralism debate of the 1980s "suddenly medically relevant," according to Wu. Until now, no one had probed a tumor so thoroughly. The prevailing notion was that tumors had from a few hundred up to 20,000 genetic alterations that were not present in the patient's healthy cells. 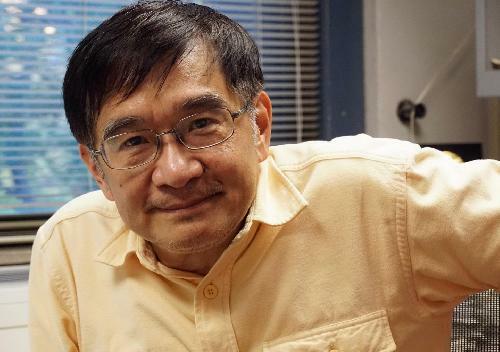 "Our study is the non-Darwinian process writ small, down to the cellular level," Wu said. "In the Darwinian struggle, there are--from the tumor's point of view--few beneficial mutations, meaning changes that give tumor cells a growth advantage." Over time, such good mutations would be expected to drive out the deleterious ones. That limits diversity. "When there are no such limits on genetic variation, however, mutations can emerge and apparently thrive," he said. But drug treatment could remove those constraints. "It 'looses up' the population," they wrote, enabling "effective competition to occur."